Inspirators - today's creatives inspiring tomorrow's — STEAM Co.
To engage children and inspire them to be tomorrow's creators, not consumers, we're keen to work with world famous UK creatives. Know anyone who might share our dream? We've found a few and have a long list with others on it, but need all the help we can get as well as the the power of art, to connect. Today’s children are obsessed with celebrity so key to our strategy to engaging them and help spread the STEAM Co. word will be the use of creative ambassadors, or ‘inspirators’. Creativity is GREAT Britain : A short film about Inspirators featuring STEAM Co.'s first Inspirator, Dominic Wilcox and his appearance on Prime time US TV on the Late Show with Stephen Colbert. We want to bring the best creative talent into schools to deliver one creative activity, that we will then package online with a film and resources for other schools to use. 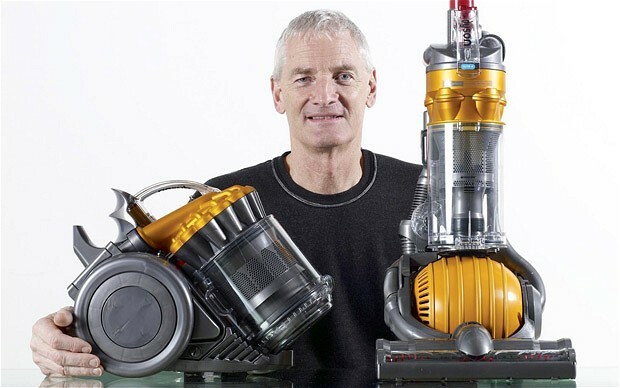 These inspirators could include any of the UK’s most respected creative talents – James Dyson, Adele, Paul Smith, Jonathan Ive, Dr Sue Black, Richard Rogers, Dr Helen Sharman, Heston Blumenthal, Jake Bugg, Isambard Kingdom Brunel, Prof Danielle George, Lemns Sissay MBE, Quentin Blake, Damien Hirst, etc. 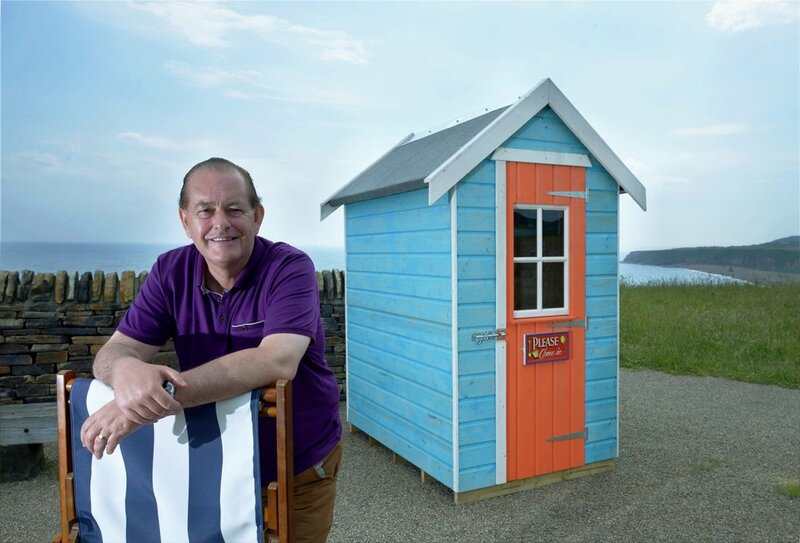 One Inspirator who totally embodies the sprit and ticks lots of boxes on our Inspirator stalking form is Martyn Ware. In the late 70'2 when he wanted a synthesiser, he grabbed a soldering iron and built one and co-founded a band called the Human League, going on to an amazing journey with his other bands including Heaven 17 and BEF. He now curates soundscapes among a wealth of other projects. Martyn spoke at our Sunderland event on the inspiration he'd got from the life and work of David Bowie. 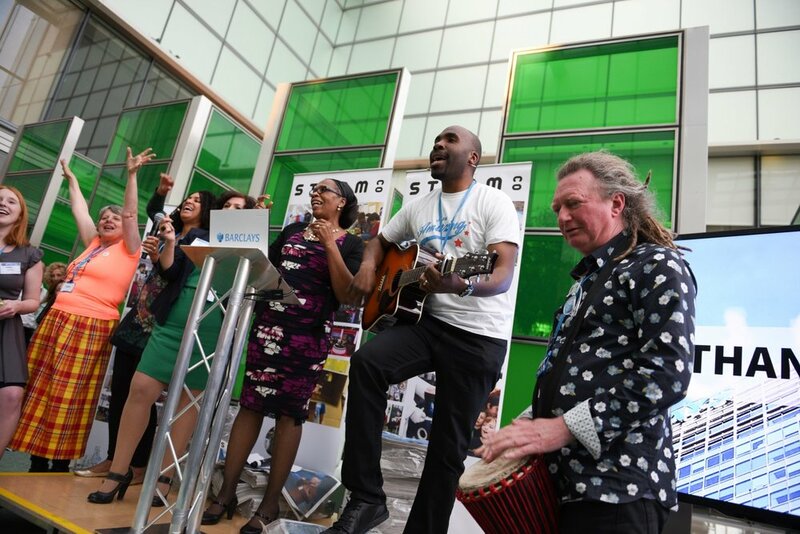 At our Blue Sky DOING event in Barclays bank he announced he would work with STEAM Co. as an Inspirator through a collaboration with our friends at Tech Will Save Us using their DIY synth kit. We're looking forward to seeing Martyn's fans, inspired by his contribution to our activity, to use it to inspire their and others' children. One of the funkiest and most sampled tracks in the history of music has to be the 'Funky Drummer' by James Brown and the JBs so what better label for us to slap on one of the most inspiring, creative and passionate people we've ever met than Tom Morley, our very own 'funky drummer' and Inspirator. 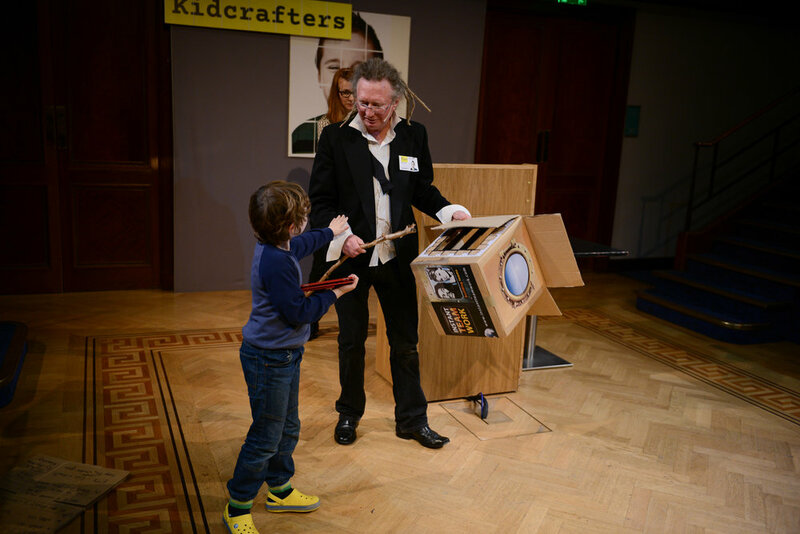 He has been a super generous supporter of STEAM Co. having supported a number of STEAM Co. Days and events since keynoting at our Kidcrafters launch event on the world's most popular toy. We are working with Tom on the development of a 'Funky Drummer' activity that can be delivered by any community on a STEAM Co. Day across the UK. We were so pleased and proud to be able to unveil our first #inspirator at our Liverpool Regional launch event #SCOL1. Dominic WIlcox gave a talk to the children on the Friday and ran an activity all day, based around his lovely book 'Variations on Normal'. 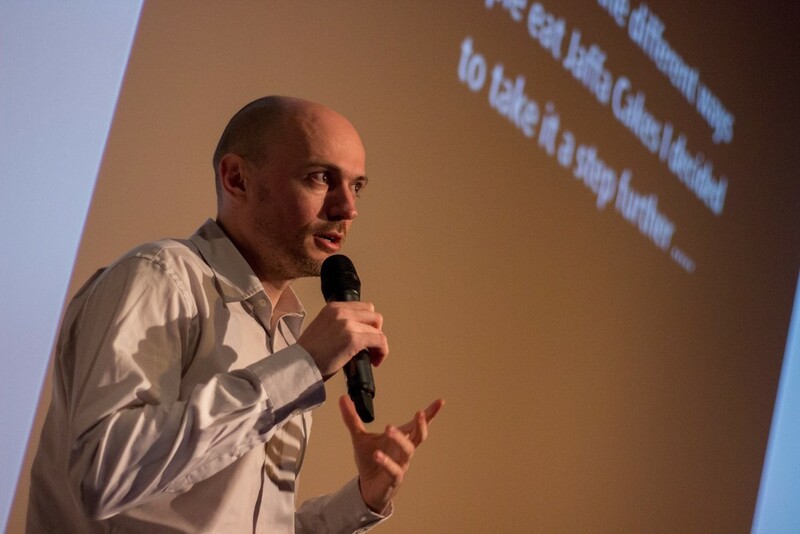 He then gave a full key note talk to carers, creatives, teachers and local businesses on the Saturday. We met Dominic Wilcox at the STEAM Co. Day we ran at the top of the BT Tower last year and were really taken by him and his work. We were dead chuffed when he invited us to the premiere of a film about him. And were both hooked! Dominic works between the worlds of art, design, craft and technology to create innovative and thought provoking objects. He is STEAM Co.’s first Inspirator, a creative ambassador dedicated to inspiring children with creativity by presenting and running activities for children at STEAM Co. Days. Dominic's recent projects include the design of a pair of shoes with inbuilt GPS to guide the wearer home, a Binaudios device to listen to the sounds of a city, a race against a 3D Printer at the V&A and a stained glass driverless car of the future, currently on display in the glass case in front of the Design Museum. In 2009 he started a Webby award nominated blog called 'Variations on Normal' where he shows his sketchbook inventions and observations which has evolved into a book. He has received commissions from a diverse range of organisations such as Paul Smith, Selfridges, The V&A museum, BMW Mini and Jaffa Cakes. We were delighted when Dominic was invited to appear on the Late Show with Stephen Colbert in New York on 29th Sept 2015, especially when UKTI authorised and tweeted a photo of Dominic with his Stained Glass Driverless Sleeper Car as part of their Creativity is GREAT Britain campaign. We're also hoping to connect with universities, art colleges, museums and STEAM trade associations (advertising, design, engineering, tech, architecture, civil eng, etc) to help us roll out STEAM Co. Days across the country to inspire the next generation. CAN, WILL YOU HELP US? Maybe you are one or can help connect us with people like this. If so do please tell us/sign up on the form on the home page. Have a look at our short film below and see if you agree that these people are crazy.